Prof. Patrice L. (Tamar) Weiss directs the Laboratory for Innovations in Rehabilitation Technology (LIRT) in the Dept. of Occupational Therapy at the University of Haifa (Hai-fa, Israel) where she and her team develop and evaluate novel virtual environments, hap-tic interfaces, co-located and online technologies to explore the effect of individual and collaborative rehabilitation. Rehabilitation and special education populations of interest include stroke, spinal cord injury, stroke, cerebral palsy, developmental coordination dis-order, autism and head trauma. Her research has been funded by the European Union and the Israel Science Foundation and Israeli Center of Research Excellence: Learning in a NetworKed Society. 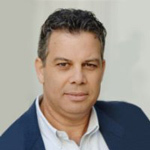 Dr. David Shashar MD, Ob/Gyn, MBA is the initiator and founder of multidisciplinary collaboration platforms in Israel, intended to proactively align physicians, engineers and investors in the development of cost-effective innovative technological solutions to pressing clinical problems. David is the founder and medical director of the BiomedTech@TAU at Tel Aviv university, an academic interdisciplinary program intended to strengthen academic excellence and expand applied research toward medical device technological innovations; and the initiator and director of the Trendlines investment group - Sheba medical center collaboration, an Industrial and hospital alliance for the development of new, unique and innovative medical devices. Through these partnerships, a number of innovative technologies are at different stages of development in the field of obstetrics, fertility, neurosurgery, gastroenterology, urology, imaging and others. 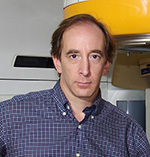 David holds a Medical degree from the Hebrew university in Jerusalem, an Executive Masters of business from the Kellogg-Recanati business school at Tel Aviv University. He is board certified in Obstetrics & Gynecology and a specialist in fetal ultrasound examination. 2013-present: CEO of his consultancy firm servicing Multinational and Local companies in the Life science field - Zeev Zelig Life Sciences Strategic Consulting LTD.
One of the world's leading biotechnology companies, Genzyme is dedicated to making a major positive impact on the lives of people with serious diseases. Since 1981, the company has grown from a small start-up to a diversified enterprise with approximately 10,000 employees in locations spanning the globe and 2009 revenues of $4.5 billion. Zeev was responsible for the establishment of the Genzyme subsidiaries in the Middle East, Turkey, Greece, Cyprus and Romania and held the position of Genzyme Corporation Patient Coordinator, coordinating between Genzyme and the various Patient Associations. 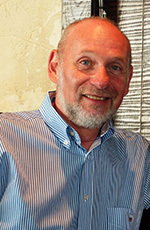 Zeev was the Chairman of the Board at Pharma-Israel, was a founding member of ILSI (Israeli Life Science Industries). He is a member of the Board of the Merage Foundation which trains young Israeli Life Sciences managers. He is a member of AMCHAM (America-Israel Chamber of Commerce) where he is active in the promotion of Israel-US cooperation in the Life Sciences Field. Zeev is a member of the Israeli Export Institute Life Sciences Advisory Committee. Zeev served on the Steering Committee of the first Life Sciences Baltic Conference. Zeev is one of the leaders in the Israeli Biotech industry and serves as an ambassador of goodwill of the Industry at events around the world. Dr. Ran Harel is faculty neurosurgeon specializing in spine radiosurgery and spine surgery in the Sheba neurosurgery department. Dr. Harel is specializing in the management of spine pathologies caused by trauma, degenerative changes and cancer. 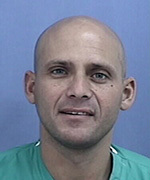 He is an experienced surgeon in the cervical, thoracic and lumbar regions. Dr. Harel is leading in the field of minimally invasive surgery (MIS) of spine pathologies and in spine tumor surgery. He started a novel spine radiosurgery service utilizing the Novalis system in Sheba Medical Center and in Assuta medical center and is treating spine tumors and metastases to the spine with a non-invasive yet very effective treatment. Dr. Harel did his residency in neurosurgery at the Sheba Medical Center, and a spine surgery fellowship in Cleveland Clinic Spine Health Center. Dr. Kobi Inbar has many years of extensive entrepreneurial, managerial, R&D and business experience, working with both startups and investors in the life sciences and bio-medical industry. Dr. Inbar served as the CEO of TK Signal and was the VP Operations for Peptor. Prior to that, he served as the VP R&D at ProCognia (formerly GlycoData) and Head of the Drug Discovery Unit at Collgard Biopharmaceutical. Currently he serves as the V.P. R&D at the Stockton Group, an Israeli-based company operating in the global market of Bio-pesticides for sustainable agriculture. Dr. Inbar was the Academic Director of the Bio-Medical MBA Program, the School Business Administration, The College of Management Academic Studies, Rishon LeZion, Israel. Currently, Dr. Inbar is a lecturer and faculty member at the Department of Economics and Business Management, The Faculty of Social Sciences and Humanities, Ariel University. 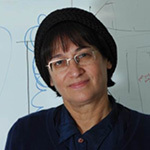 Dr. Inbar holds a Ph.D. in Biochemistry and Microbiology from the Hebrew University of Jerusalem, as well as an MBA degree from the EMBA Program of the Arison School of Business, the Interdisciplinary Center in Herzliya.